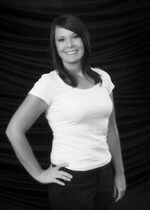 Ashley attended Oklahoma State University and is a 2006 graduate of TCC Dental Hygiene Program. She began her career in cosmetic dentistry ten years ago as a dental assistant. Ashley is extensively trained in periodontal and laser therapy. She also assists in forensic dentistry, under the direct supervision of the Oklahoma State Medical Examiner. Ashley strives to provide her patients with the highest level of quality care and education. She is very successful at helping patients overcome their dental anxiety and improve their overall health. Jennifer began her career in Cosmetic Dentistry in 2000 as a lead dental assistant. She has been Dr. Jump's Office Manager since October 2014. Jennifer is always ready to help with any inquiries regarding payments, insurance, or any other questions that you may have.